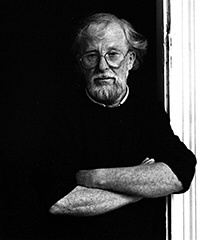 All the tiles were purchased, and produced by Ken independently and	not by Iden Pottery (run by Dennis, Ken's	brother), which appears to be a popular myth. Virtually all of the tiles featured Ken's backstamp, but there are odd occurrences where this is not apparent. 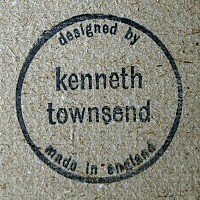 Two styles of backstamp can be seen – the circular style stamped straight onto the back of the tile, and a long legend which was invariably used when a cork or fibre backing	was used. A new form of fitting, which differs from the more usual 'ring' and is mounted on a Candy tile. This was found on what is probably an earlier design for the Tiger: see Menagerie. 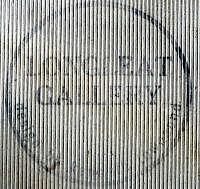 The Longleat Gallery backstamp (below) was probably commisioned by the Longleat Safari Park. 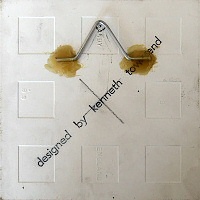 Below: Typical embossed marks found on tiles. Carter Tiles was the parent company of Carter Stabler Adams & Co., which was best known as the forerunner for Poole Pottery. 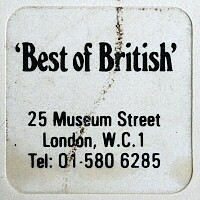 Pilkington Tiles took over Carter Tiles, so tiles with this mark could be later editions. Some tiles have been noted with an embossed P + C. The last one featured here is obscured by glaze, but is marked Hereford Tiles Ltd. 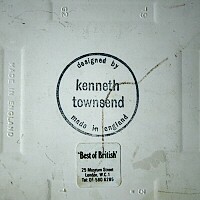 The 'Best of British'	label	signifies	an	outlet	selling	the	Kenneth	Townsend	tiles. The British Museum can be found in this street, and the premises are now occupied by a firm of solicitors. 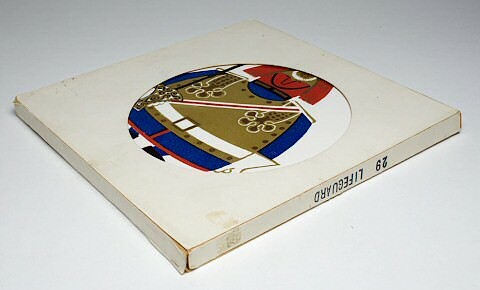 Below is an image showing the original boxes used to house the tiles. This example has the Lifeguard (No. 29) tile.